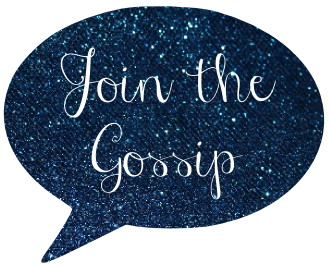 Join The Gossip: My 25th Birthday Celebration in L.A.
OK, so I got the Mac and now my blog postings should be resuming back to the normal pace! Over the weekend my friends and I celebrated my birthday (which is actually tomorrow, the 5th) in the magnificent city of Hollywood, West Hollywood to be exact. I love that part of L.A., everything is so trendy and fast-paced. So, what better a location to celebrate my 25th birthday--or as I call it, my quarter-life crisis? We started the weekend off with shopping on the famed Robertson Blvd., home to Lisa Kline and Kitson (both of which we visited). 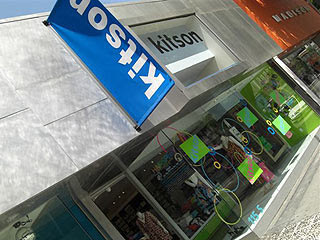 Lisa Kline is more of a upscale boutique, while Kitson is full of random items ranging in price. After we were finished browsing the shops, we checked into our room at The Grafton on Sunset. 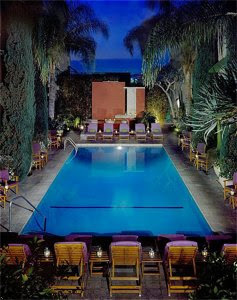 With a prime location on the Sunset Strip, we were set for a great weekend. To make the festivities simple, we ate dinner at the hotel and also partied there as well. Balboa, the establishment's classy restaurant, had delicious food. Definitely worth the pricey fees. 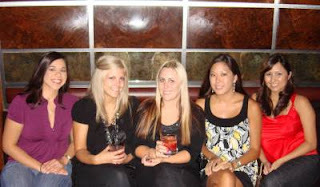 And BOA, the bar/lounge, provided a sleek, sophisticated atmosphere. However, my good friend and fellow Beauty Chatter, Sarah, and I wanted a little more action than the location provided. We decided to explore the city and walked around a bit, taking in our surroundings. Sunset was so alive, despite the wee hours of the morning. Finally we headed back to The Grafton and called it a night. The next morning consisted of sleeping in, then heading over to The Waffle (on the corner of Sunset and Vine) to enjoy brunch seated outside at a sunny table. I adored the atmosphere, it was very relaxing--perfect for a lazy Sunday afternoon. I love Los Angeles! It was the perfect location for my birthday celebration! happy belated bday! looks and sounds like you had an awesome time which is what you deserve on such a special day!